Piolo, a child with coffee-colored skin and the curliest hair I have ever seen, handed me a wild rambutan, smiled shyly up at me, and joined the other children. They and a few adults ate the tart red fruit while sitting outside a makeshift home from wood. Others also sat outside their homes, seemingly content, while some kids ran around. Far behind them was the majestic Sierra Madre mountain range. Their smiles betrayed the hardships they go through every day. A steady and sustainable income is hard to come by for the Dumagat community here at Sitio Inipit, Barangay Simbahan, Dinalungan, in Aurora province. Also, before, kids had a hard time going to and staying in school because their families could not afford it. This is not mentioning the problems Dumagats face in general, among them people trying to take their land, and discrimination because of their skin color and features. Ms. Mylen, a Dumagat at Sitio Inipit and a teacher who used to work in a school on another municipality, took the initiative to empower her community through education. By chance more than five years ago, she met yogi Alfonso Vieja, more known as Dada (elder brother) Atma (soul) in the Ananda Marga tradition, where he is a yoga teacher. Dada Atma, in his own way – especially through his own resources, his friends and fundraisers – has been helping Dumagats in Aurora ever since he lived with one community for a week when he got stranded by a typhoon in Quirino municipality. Ms. Mylen asked Dada Atma’s help for the students – or rather, lack of students – at Sitio Inipit. Dada, again through his networks, mustered enough resources to shoulder miscellaneous fees and school supplies not covered by Dumagat students’ public school education. He also had a day care center built and promptly sent Ms. Mylen back to her community to teach there. Dada supported around 60 kids. Ms. Mylen (left), the determined teacher who dared ask Dada Atma for help for Dumagat kids and got it. Now, she teaches at her community’s day care center (right). That afternoon at Sitio Inipit, Dada came to distribute clothes, school supplies and other necessities either donated by friends or bought by money from fundraisers. My friends and I came with him, just having received the instructions “bring clothes and school supplies” when I met him for the first time over two weeks ago. With Dada, our group carried boxes and bags and braved over ten hours of commute from Manila, many of them bumpy and dusty, on the dirt roads en route to Dinalungan. We also met Maria Prado-dela Cruz – more fondly known as Nanang Maring – a fiery Dumagat leader who runs Dada Atma’s humble home in Aurora. She is also Ms. Mylen’s aunt. Clearly, feistiness runs in their family. Just over a month ago Nanang Maring was one of those who led the Dumagats’ rally on the streets of Manila, and later dialogue with government officials to reclaim the Dumagats’ land at Dinalungan and Casiguran municipalities. 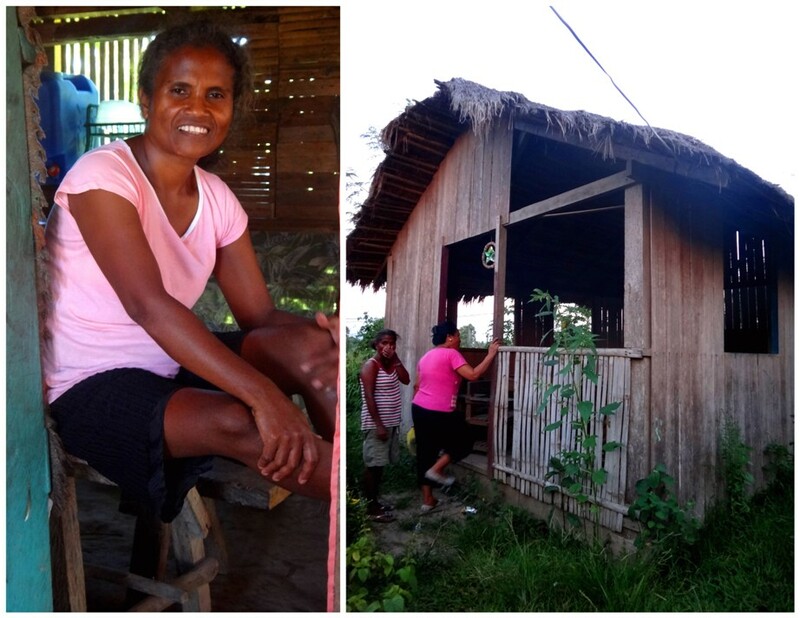 She also regularly visits different Dumagat communities around Aurora to check with them and advise them. 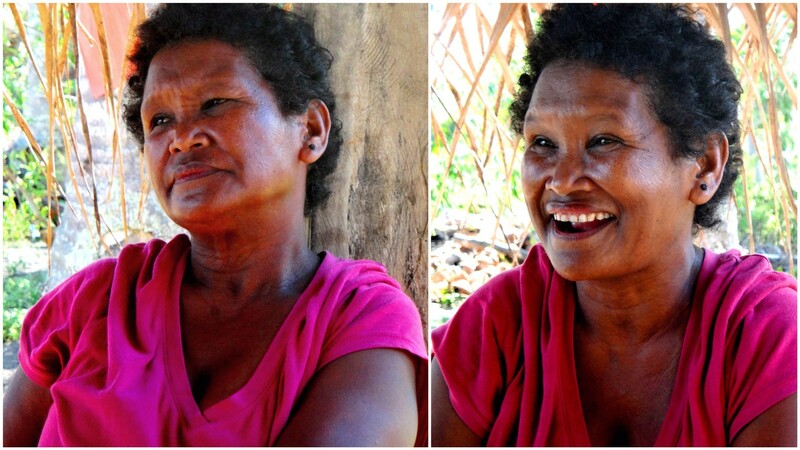 When discussing land issues and poverty in her community, Nanang Maring gets pretty serious (left). On the other hand, she gets excited when talking about solutions (right). Aside from Sitio Inipit, we also traveled by boat for more than 30 minutes to Sitio Disigisaw, Barangay San Ildefonso, at Casiguran municipality, where Nanang Maring lived for several years. Here, the education is more informal. Only one teacher is responsible for all grade levels at the moment. This may be because while Casiguran is generally accessible by land, Sitio Disigisaw is a remote area, separated by mountains from the town proper. It does not help that the sitio is quite big, either. We took another 30-minute boat ride to reach the other community. The ten students here have to walk around three or four kilometers to go to school on the other side of the sitio. Many times they miss school, especially when they don’t have food for lunch. Meanwhile, the Dumagats who buy staples like rice at Casiguran town proper walk and climb mountains for at least eight hours to get there. This is a cheaper and more practical option for them, especially when the waves en route to Dinalungan (where our boat came from) get rough. 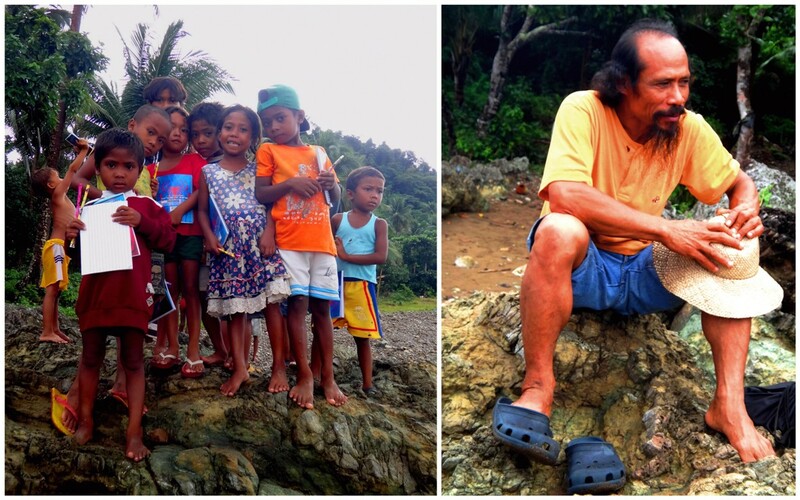 The students Dada Atma supports at Sitio Disigisaw in total are around 40. The important thing for now, Dada says, is that they receive enough education – for example learning to read and write – to empower them. When the funding comes, though, he envisions a boarding house near the school – and with a caretaker who cooks and looks after the students – for the ten students from the other side of Sitio Disigisaw, so they won’t have to miss school if they can’t take the three- to four-kilometer walk on some days. Dada is also envisioning a second school teacher for the sitio. Also, there are other issues Dada and Nanang Maring hope to have a sustainable solution in the future. Rice is particularly a very precious commodity for Dumagats at Sitio Disigisaw. If they can’t go to town to buy, they are particularly at the mercy of fish buyers who get their catch for dirt cheap then sell them rice at inflated prices. Nanang Maring has advised them about this recently and hopefully the Dumagats will assert themselves. The Dumagats’ lands there are not particularly friendly to rice planting, but since their livelihoods are fishing and hunting, they are, for now, tied to the land they live in. 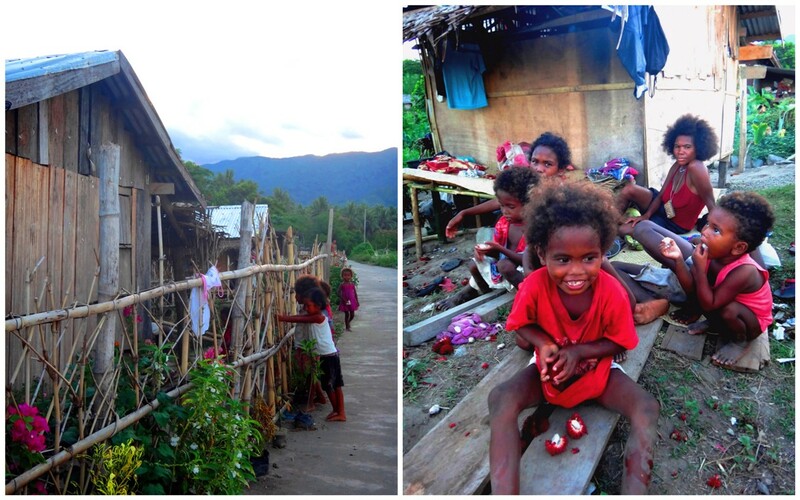 Amid hardships, Dumagats at Sitio Disigisaw find time to smile. While it would take much effort and resources, Nanang Maring, Dada Atma, and Ms. Mylen are hopeful for the Dumagats’ future. What the kids need: Rain coats, umbrellas, slippers, bond papers, notebooks, pencils, ball pens, crayons, rice grains (bigas) – rice is crucial especially for Sitio Disigisaw – beans like munggo. Biscuits and canned goods are also welcome, though rice and beans are preferred. Telephone number: (632) 924-6068 / 0919-8618857. (Note: Get in touch with the office secretary Vijay. Make sure he knows of your donation). Note: It is best to drop off your donations before June 7 evening as Dada Atma’s yoga students will be going to Aurora then to follow Dada. Dada will again be going to Aurora on June 24 so you can also drop off donations before then. It is ideal to go with the earlier schedule, though, as school is already starting. Note: If you want your donation to be tracked, e-mail your scanned deposit slip to dadaatma@yahoo.com. UPDATE: Thank you very much for the material and cash donations! You can still send donations over, especially cash donations. This is my entry to the Pinoy Travel Bloggers blog carnival “Travel With A Difference,” hosted by Grace Bangoy. Just a suggestion……… why dont you open a paypal account and add a paypal donation button to your website/article. you could maybe receive far more donations. i will add this to my social media and also my http://www.scoop.it/t/philippine-travel site. Thanks for the suggestion and for the sharing! 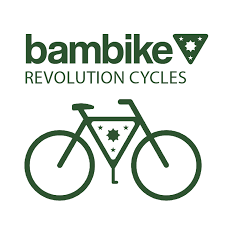 Will ask the organizer re: PayPal address. Help if you can dear readers. Magkaiba ba nag Dingalan at Dinalungan … I hope i could find a way to help as well. Hi, Dennis! Yep, they’re different. 🙂 For now, we need help spreading the word. Also, donations are most welcome for the school supplies and projects for the Dumagats. 🙂 Thanks! Just read this. Won’t be home by then and I’d like to send a lil contribution. Is there a Paypal account already to send money to? Thanks! I will send you an e-mail to your Gmail account. My Partner and I is planning to have a medical mission and personally give some stuff to the community . Would you help us by giving the contact number of Dada Atma and Mylen? Hi! We plan to do an outreach mission on June. May I also pls have their contact details? I am doing a research for community development for the Dumagat People. I find your blog informative. Thanks for taking time to post this.